When Google’s Chrome OS was first announced, Google stated that they designed the operating system with three aspects in mind: speed, simplicity, and security. It’s thanks to abiding by these three principles that Chromebooks tend to also have excellent battery life. 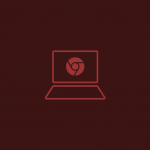 With minimal bloatware, highly optimized software, and an OS that can run well on pretty much any chipset, Chromebooks are hard to beat in the battery department. But even if the battery life on Chromebooks is great, all-day battery life would be even better! That’s where the Qualcomm Snapdragon 845-powered Chromebook will come into play. Windows 10 on ARM “Always Connected PCs” running on Qualcomm Snapdragon mobile platform may not have been much of a success so far (though Qualcomm and Microsoft haven’t given up on it), but we’re optimistic that a Snapdragon-powered Chrome OS device will find success. We first discovered evidence of a Snapdragon 845 Chromebook back in December. Code-named “cheza,” the first Snapdragon 845 Chrome OS device will likely be detachable like the HP Chromebook X2, will support eSIMs possibly for Project Fi support, will have UFS, and will finally have an integrated stylus. This upcoming device has gotten us pretty excited, but we have no clue when it’ll be launched. According to a recent commit, however, we at least know that the device is currently in the prototyping stage. While this information doesn’t give us an exact timeline on the device’s eventual release, it does tell us that we’re at least a few months out from release. “Cheza” is currently at step 1. Without knowing how their supply chain works, it’s hard to build a timeline for how long it’ll take “Cheza” to reach step 5. The proto stage could take a month or multiple months, so we don’t know how much longer it’ll take before the much-awaited Snapdragon 845 Chromebook makes its way to the limelight. For reference, the Google Pixel 3 XL that was leaked on our forums was an EVT design. If we learn more about this upcoming Chromebook, we’ll let you all know. Many thanks to XDA Recognized Contributor deadman96385, a member of the LineageOS team, in assisting me for this article.